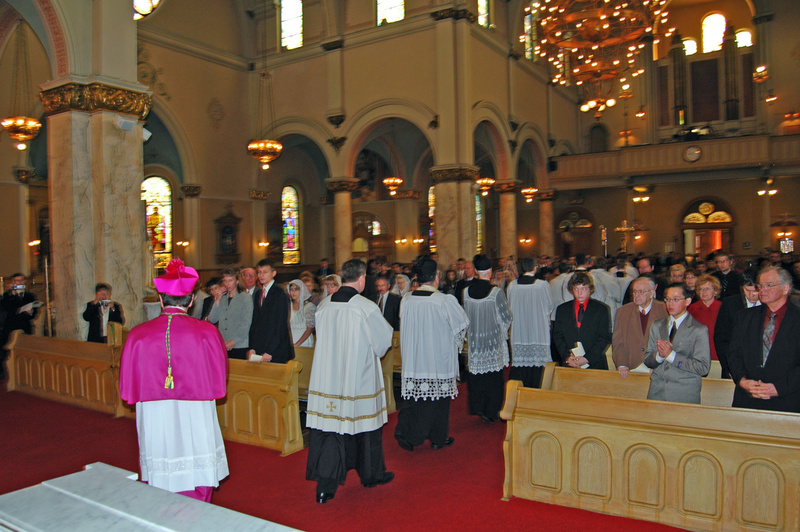 The Our Father, Hail Mary and Apostle’s Creed were recited together with the Archbishop at the end of the service. 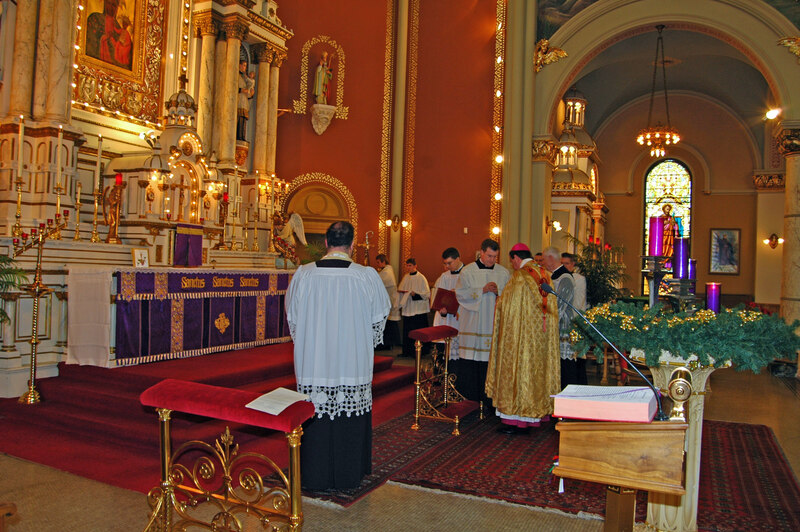 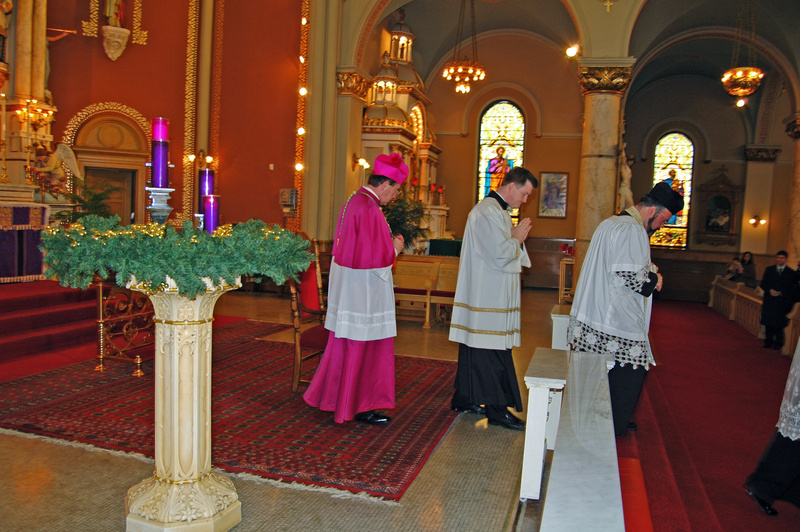 The liturgy closed with the singing of the Church’s hymn of thanksgiving, the Te Deum. 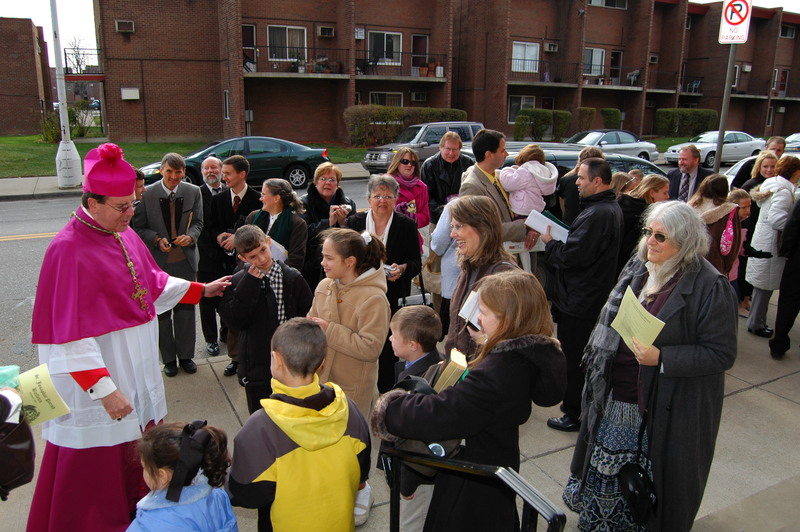 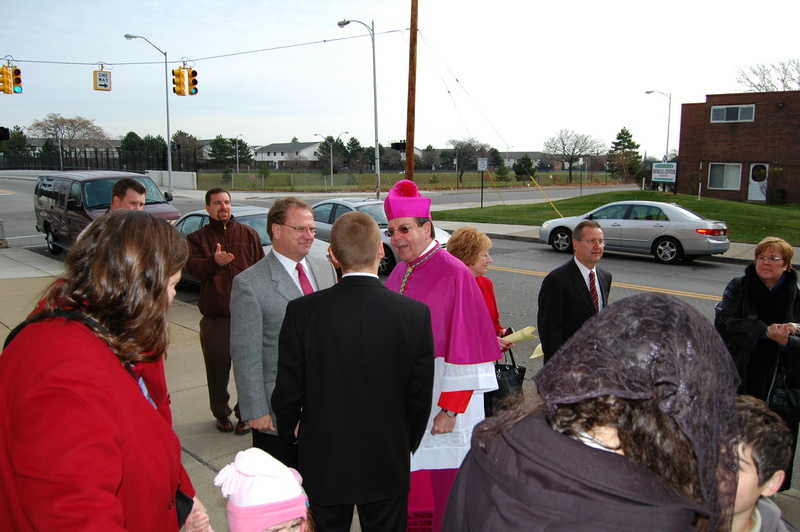 This concludes our series of photos from our Tridentine Confirmations. 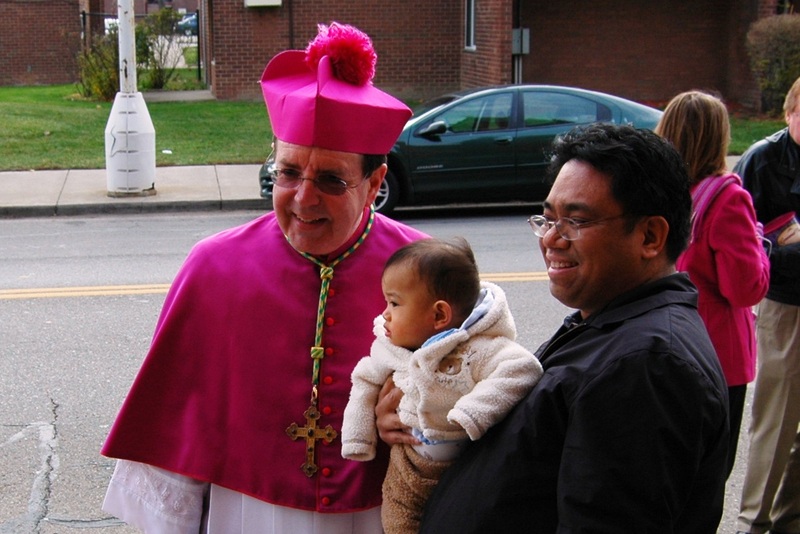 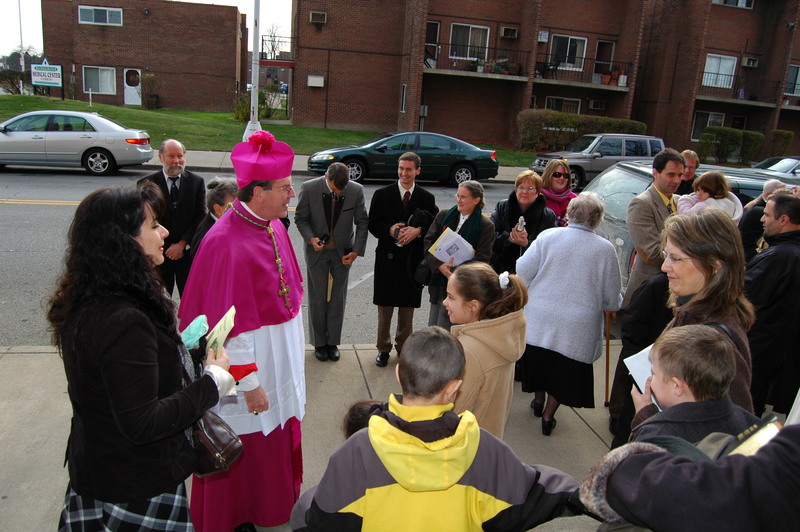 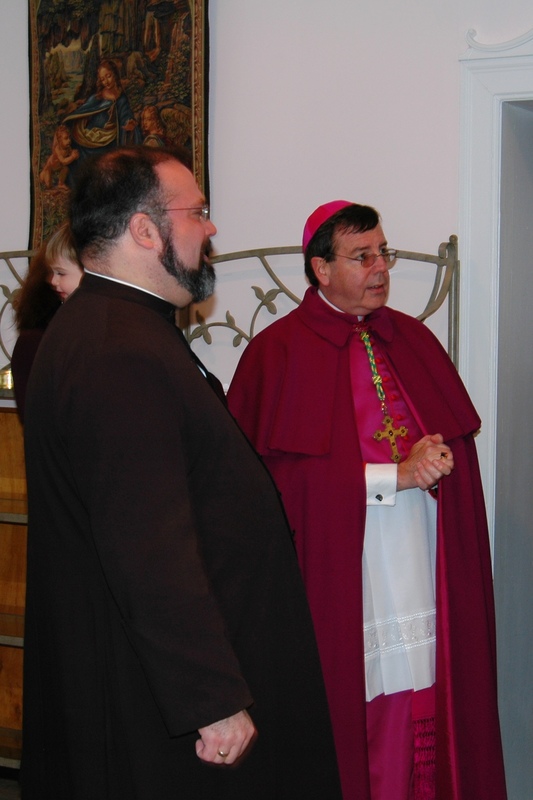 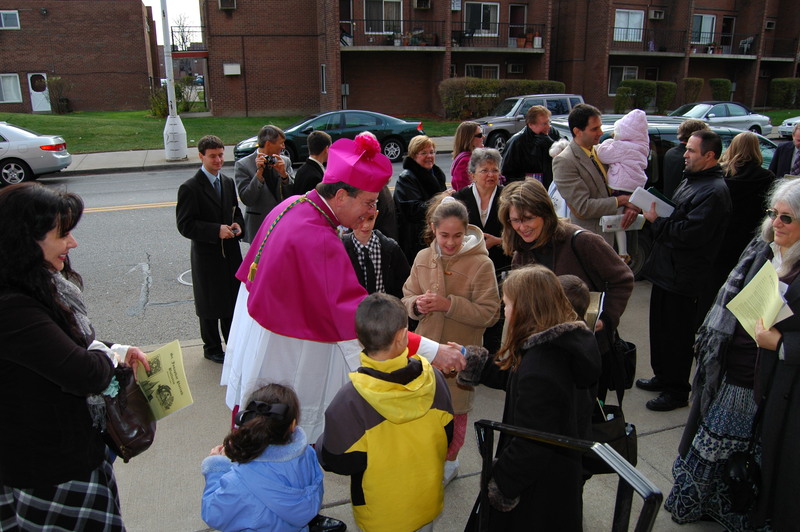 We want to thank Archbishop Vigneron and his secretary, Fr. 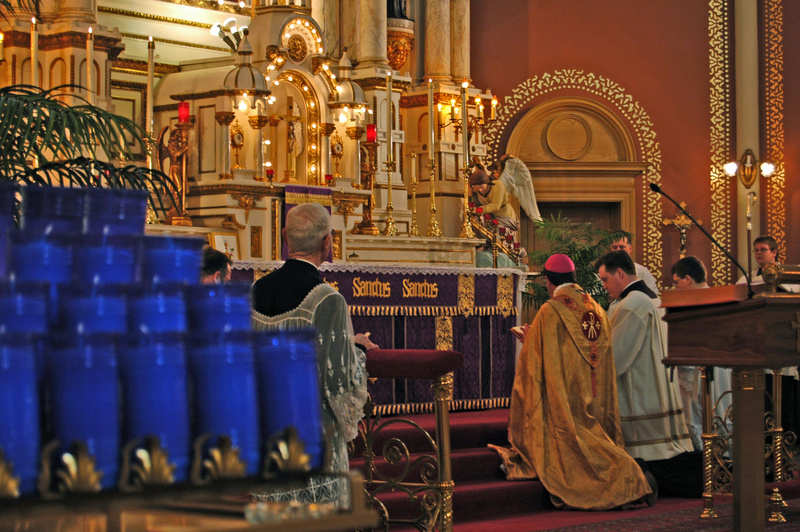 Fox for coming and celebrating this Sacrament with us. 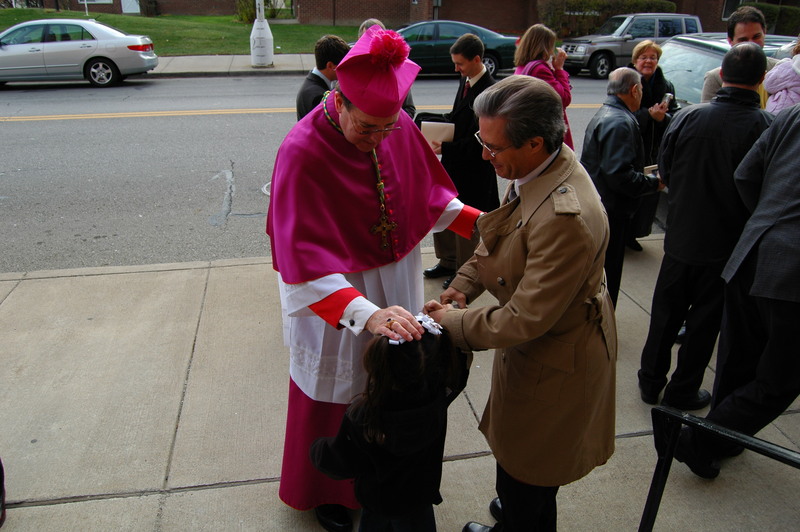 We also want to once more extend best wishes to our Confirmandi.